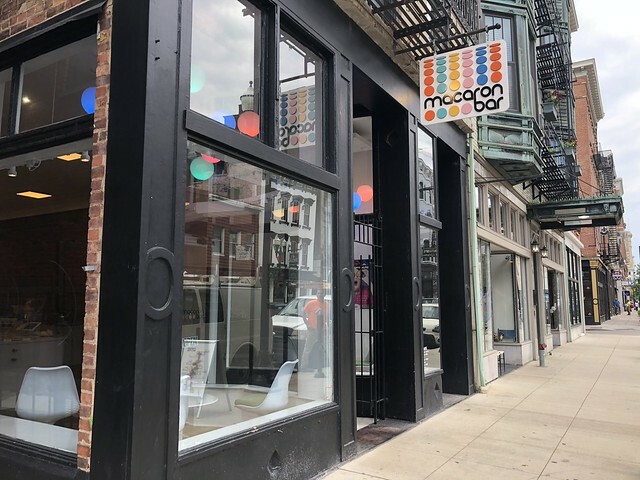 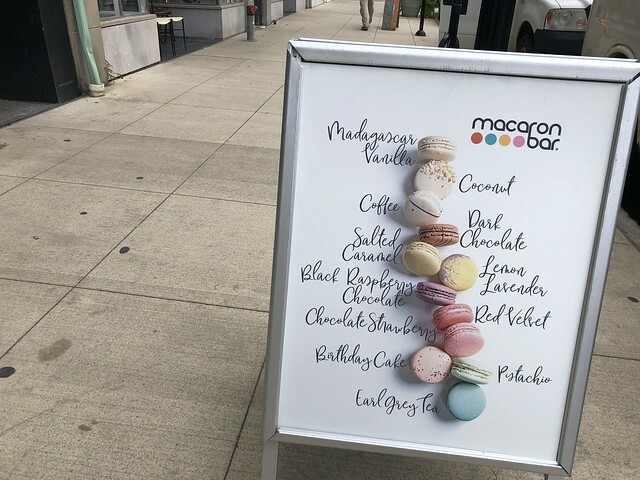 While walking around Cincinnati looking for murals, we saw the Macaron Bar. 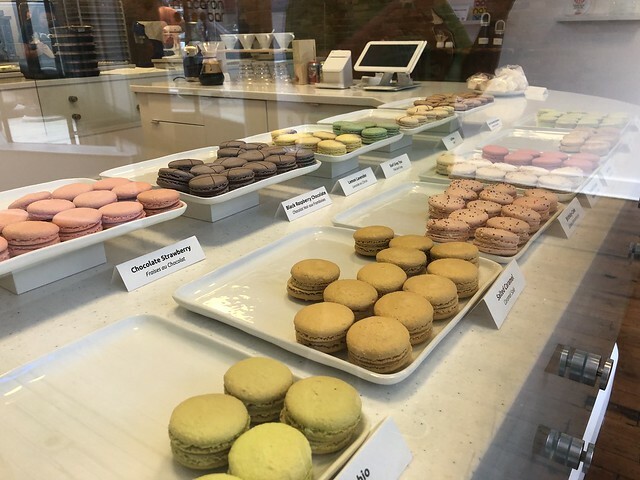 The brightly colored sign and hint of delicious French treats teased us so we ventured in. 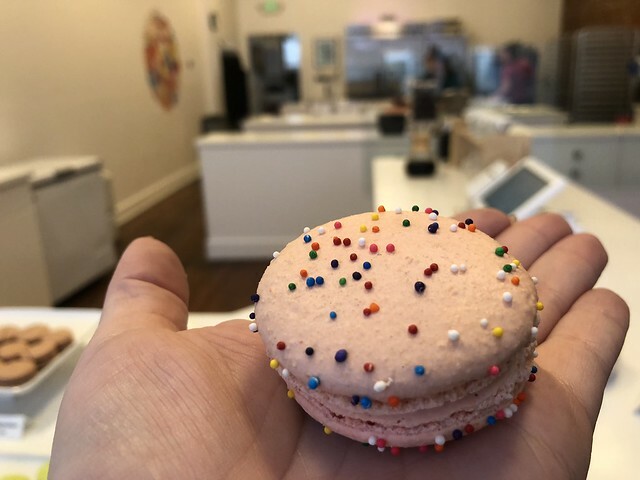 Macarons are a simple concept, but they're so quaint and require technical skill. 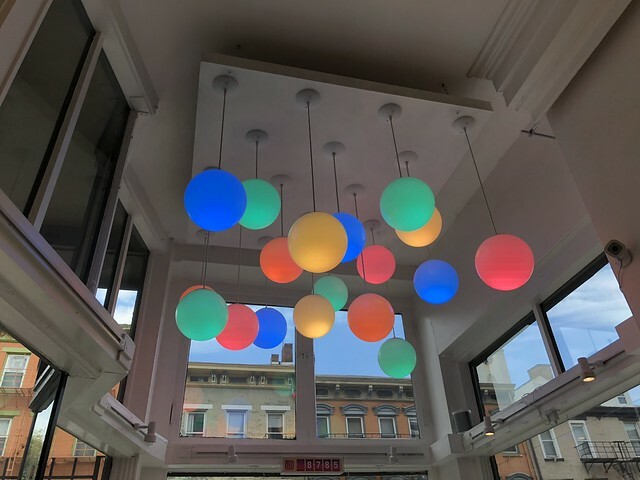 The shop had a dozen or so flavors, and I picked a pretty one to try: Birthday Cake. 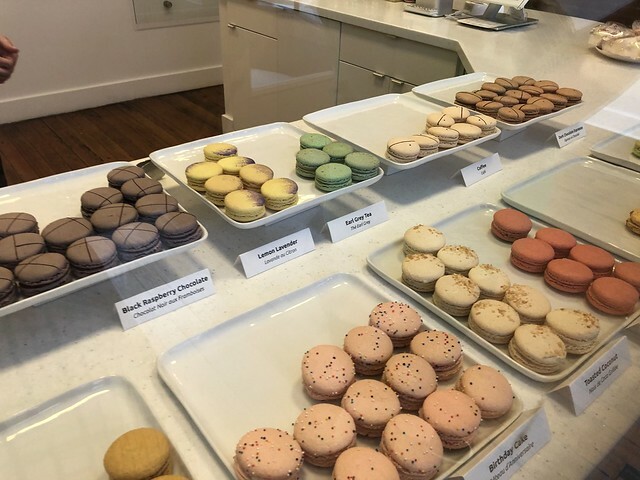 Mmm you can never go wrong with macarons.